We have partnered with Celebrity Cruises and El Sol Travel to provide our community with accessible cabins aboard Celebrity’s luxurious ship, Eclips for an 9-night Pacific Coastal cruise. We set sail from San Diego, California in April of 2019. Oh, and because people have asked, I want to clear something up. If you’re able-bodied and care about our mission, you’re invited to join us too! When you click on the orange link below and complete our simple form, We’ll contact you. 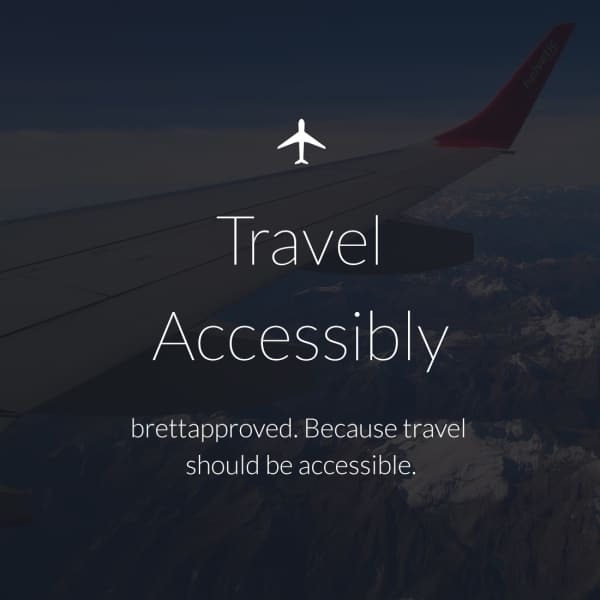 When we do, just let us know that you don’t need an accessible cabin. This is a vacation for everyone! After all, we’re in this together! We have a limited number of cabins available for the brettapproved family, so don’t wait! Twice daily service (makeup and turndown) and more. Expansive view of the ocean. Private veranda with table and seating. *Images curtsey of Celebrity Cruises, Inc.